The capital city of the north Indian state, Uttar Pradesh, Lucknow is an extremely well-known tourist destination in India. Known as the ‘City of Nawabs’, the city and its people are popular for their tahzeeb or mannerisms. 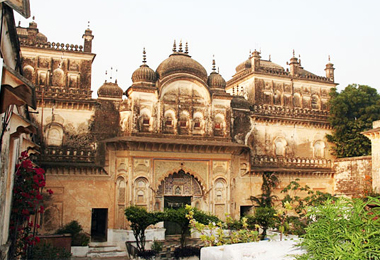 A visit to the Lucknow city is surely a cultural and architectural delight. The several tourist attractions, built all around the landscape of the city, are visited by a decent number of tourists from all over the country. If you are planning to visit Lucknow, opt for a stay in Heritage Hotels in Lucknow. Most of these luxurious properties are erstwhile forts and palaces of the Nawab rulers of the city, now turned into hotels. Guests can have a comfortable stay amidst world-class contemporary facilities while enjoying impeccable hospitality services of the staff members. Heritage Hotels of India has a comprehensive list of such hotels so that you can easily book a hotel room when you wish to. Just click on the name of the hotels and browse through the details to know more about the rooms, dining and facilities.